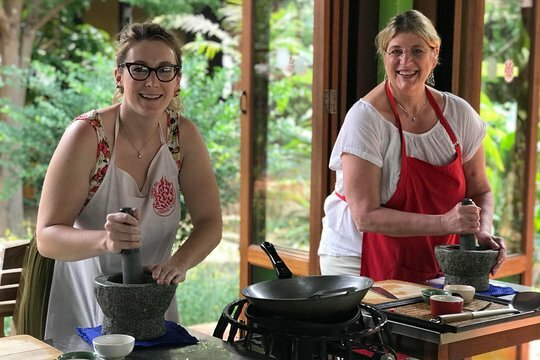 5 hrs cooking class that includes hotel/hostel pickups, local market tour and hands-on authentic Thai cooking lesson; 3 types of dishes (Soup, Stir-Fried & Curry), of your choice! 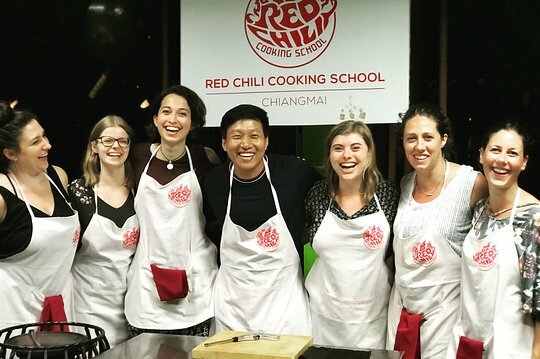 6 hrs cooking class that includes hotel/hostel pickups, local market tour and hands-on authentic Thai cooking lesson; 3 types of dishes (Soup, Stir-Fried & Curry), of your choice! After being picked up from your Chiang Mai hotel at either 8am or 3pm (depending on the tour time selected), head straight to the local market for a 30-minute tour. 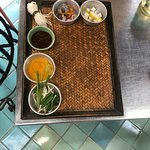 Accompanied by your guide, an experienced local chef, learn more about typical Thai vegetables, herbs, and spices as you browse the market stalls, and purchase the ingredients needed for your cooking class. Continue to the cooking school, where you'll select the dishes you wish to cook and be assigned an individual cooking station. Set to work chopping the fruits and vegetables, cooking the meat, and blending the sauces under the guidance of your instructor. 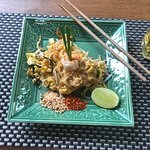 Depending on the day's menu, you'll have chance to create tasty soups such as Tom Yum Goong (spicy and sour Thai soup with shrimp) or Tom Kha Gai (coconut milk soup with chicken); traditional dishes such as Pad Thai Gai (stir-fried noodles with chicken), Kaow Soi (Yellow curry with chicken and crispy noodles) or Green Curry with chicken; and scrumptious desserts such as Sweet Sticky Rice with Mango. You'll also be given the recipes to take away with you and tips for ingredient substitutions to help you recreate your favorite dishes back home. Finally, tuck into your delicious homemade creations as you sit down to sample your 4-course lunch or dinner. Chef Aon hosted an amazing cooking class! We made several different Thai dishes and they were delicious. I would highly recommend this cooking class! 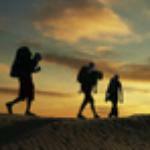 I did this course with Aon last week and it was great! He jumped right into the course and showed us a lot of amazing recipes. I'd definitely recommend this as a fun Chiang Mai activity. 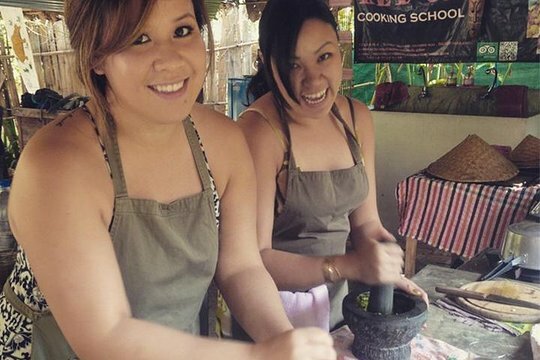 Get quick answers from Authentic Thai Cooking Class in Chiang Mai staff and past visitors. Hi, it says good for all ages in the text, but when I go to sign up, it says just adults 13-99. My children are 11 and 12. Are they able to come?